Some people promote the idea of “fast writing” where one writes as quickly as one can, not worrying about editing or typos, or even providing attributions to dialogue. The concept is to get the ideas down quickly and in an uninhibited fashion. Done afterwards is the cleanup, filling in details, editing, correcting, and applying of the other aspects of the writing craft. If you are interested, you can research the topic on the Internet. I experimented with these fast writing suggestions and found the methods described did not work for me. I realized I do my own form of fast writing. 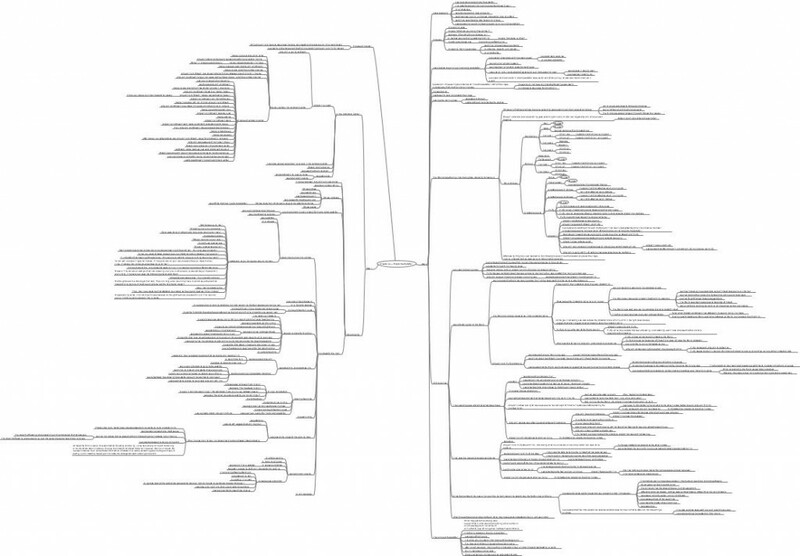 I use a software tool called FreeMind to mind map my ideas. This is where I do my fast writing. I create nodes of my ideas then explore each node by expanding with subnodes. I can move nodes around, edit, change, play, go wild. Once I have entered my ideas, I copy the mind map and paste it into a document, which creates an outline. With my outline in place, I start filling in the details as I write the narrative. This method works well for me. The following mind map is of the current chapter. The outline from this map translated into 13 pages of single spaced text. As I write the details, things will change as the story muse and the characters reveal new information, but I have a framework for holding everything together. This is fun. I constantly have ideas; my mind meanders in many magnificent imaginary places. I collect those ideas on a voice recorder then transcribe them into an ideas document. I have one of these documents for each of the legends I have so far planned for my The Dragon Universe series. The second legend has six main characters, five of whom come forward from the first legend. As I thought about the second legend, something interesting occurred: I realized the protagonist is not who I thought it was going to be. The protagonist is normally the character who changes the most during the course of the story. The human, who is the protagonist of the first legend, changes very little in the second legend. However, one of the aliens changes immensely. This character starts in a very bad place emotionally (as divulged in the first legend), but by the end of the second legend, she is a new person with a new perspective on everything. I see this as a challenge, an exciting challenge. I already planned to rotate the point-of-view among the main characters so I can explore how each of these aliens see the universe and their place in it, but now the protagonist is one of the aliens, the one with the most personal problems. This should be fun to write, but first I must finish the first legend. My alpha readers reviewed chapter 31 and provided valuable suggestions. One topic discussed had to do with the Human influencing the aliens with certain Human concepts. I used the word “contaminate” where as my readers suggested “introduce.” After thinking about the suggestion, I decided that I see the difference between “introducing” and “contaminating” a civilization with new ideas as “introducing” assumes the superiority of the new ideas when compared with what the civilization had before. Human history is replete with this attitude. Everywhere people go, they “introduce” a superior way of thinking to the local inhabitants, often by force.